Stickman Boost 2 is the intense platformer game. In which you must navigate through crazy levels making sure that you reach your destination safely. Control the free running stickman and jump over obstacles, slide under spiked ceilings and leap onto high platforms. Use the arrow keys to control the stickman and also use the restart button if you want to retry the level at any point. This is the sequel to the much loved first game Stickman Boost and this game is just as frantic. Complete each level in style by double jumping and performing stunts at every opportunity. 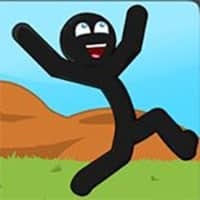 So have fun in playing Stickman Boost 2 Game!